The Aerocycloid was a concept aircraft, exploring VTOL (Vertical Takeoff and Landing) ideas which were truly “out-of-the-box” before the age of flight really even started. 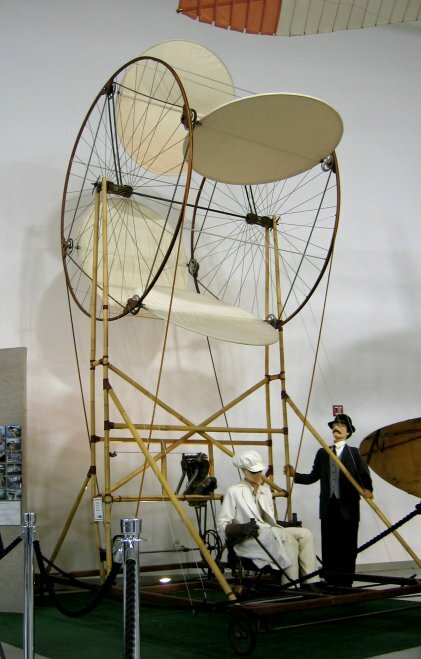 It had 4 circular discs mounted horizontally on a Ferris wheel looking device that was rotated by a 7 H.P. Indian Motor Cycle engine. The control system enabled the entire disc assembly to pitch forward or backward, or to warp producing side-to-side translation. The Aerocycloid did not fly.